This is a very rich and dense chocolate mousse that Cyrille used to win his wife’s heart. Perhaps it will work for the love in your life? It is best served in smaller portions for enjoyability with fresh raspberries to cut through the richness. 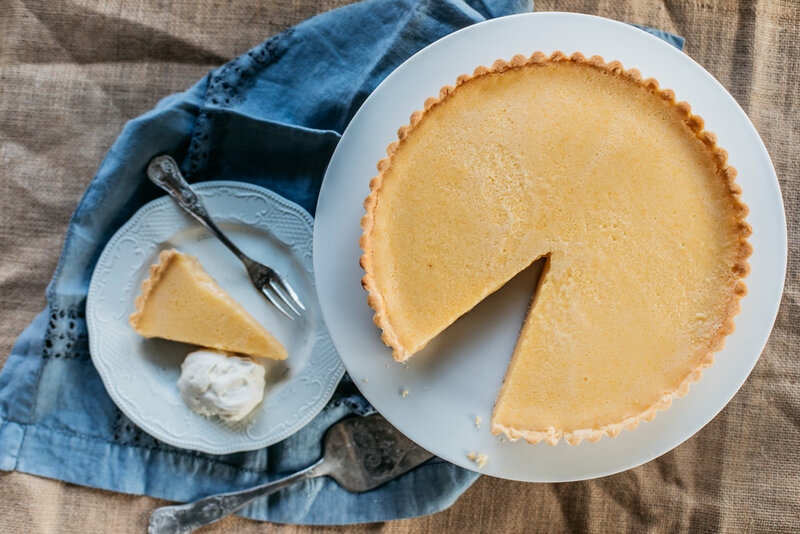 There is not a bigger crowd pleaser than a classic lemon tart. This version has some of Cyrille’s best kept secrets by adding lime juice to the filling for extra zing! Anna also has a great trick for getting the tart into the oven without spilling a drop. There are no words to describe how delicious these are. Perfect for an afternoon tea, or morning tea, or any tea really. Why not just have some for dinner?